Super Soccer Strikers it's a new free online football game. You can play the game online for free here on brightestgames.com. Along with some of the best free online soccer and football unity 3D games. In Super Soccer Strikers games use the arrow keys to run, Z to change players, and X to slide-tackle your opponent. When you have the ball use Z to pass to your teammates or X to shoot at your opponents goal. When the ball goes out of bounds, use X for a throw-in, corner kick, or goalie kick. Fill up your Skills Bar to earn special moves. When the bar is full enough use A,S or D to activate. So have fun and Play Soccer Game Online from Shockwave.com here on supergames.com! So have fun compete and score and be the best! Help this football cheerleader dressup for the Big Event's football game. Choose the outfit that will get the crowd cheering the loudest! 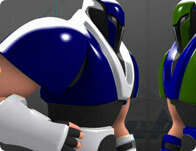 Futuristic violent sports game. Simple rules: 2 teams of 10. Get the ball in the opponents' goal and crush the opposition. Five different field goal-based games all in one! Pick up all the beans for energy and try and dodge the defenders as you head for the end-zone to score! Try to score as many goals as you can, fun and simple. You are competing against other players to see who can acheive the most field goals in 3 minutes. Try to win a soccer tournament.